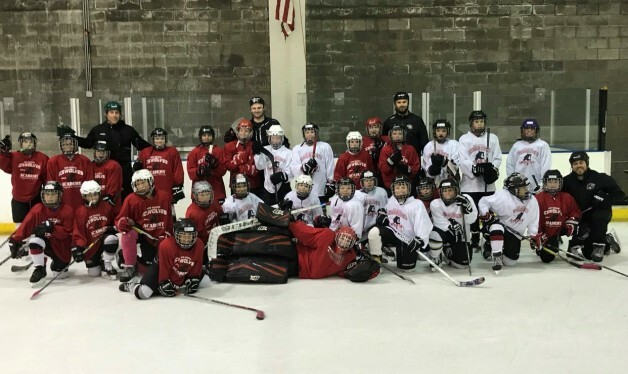 The New Mexico Ice Wolves youth hockey program (NMICE) is recognizing that change is good. For the current 2018-19 season, the Ice Wolves made some wholesale changes to the club’s travel coaching staff – just one such tweak that has proven to be a positive for the Albuquerque-based association. On the business side, the Outpost Ice Arenas – the home rink for the Ice Wolves – are under new ownership this season with University of Minnesota alum Stan Hubbard taking the reins. And Hubbard is proving to be a difference maker at the arena, also located in Albuquerque. “The new ownership has made tremendous upgrades to the facility already,” Thompson said. “They are also very dedicated to growing youth hockey in New Mexico. At NMICE now, for instance, our Squirt kids playing house and travel get five hours of ice time a week (three hours for just travel), and that is making a big difference. Thompson added that watching hockey at the youth and adult levels start to pick up steam in the local communities is very encouraging for the present, as well as for the future. The Western States Hockey League’s New Mexico Renegades were the last junior team to call the state home, playing from 2009-14 in Rio Rancho before moving to Springfield, Mo.